Painters in Prehistory: Archaeology and Art of the Lower Pecos Canyonlands est le grand livre que vous voulez. Ce beau livre est créé par Harry J. Shafer. En fait, le livre a 304 pages. The Painters in Prehistory: Archaeology and Art of the Lower Pecos Canyonlands est libéré par la fabrication de Trinity University Press. 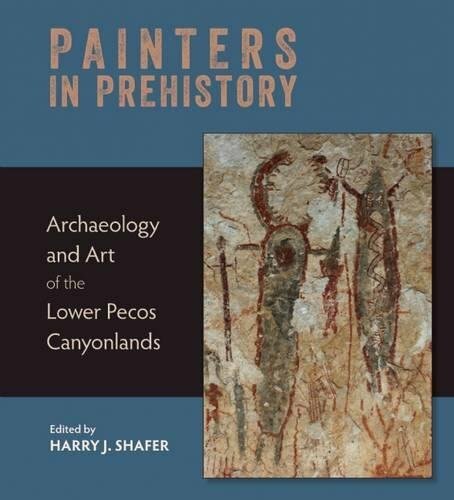 Vous pouvez consulter en ligne avec Painters in Prehistory: Archaeology and Art of the Lower Pecos Canyonlands étape facile. Toutefois, si vous désirez garder pour ordinateur portable, vous pouvez Painters in Prehistory: Archaeology and Art of the Lower Pecos Canyonlands sauver maintenant. Painters in Prehistory is a revised update of the book Ancient Texans: Rock Art and Lifeways along the Lower Pecos, edited by Harry Shafer with photographs by Jim Zintgraff, and published by the Witte Museum, in conjunction with a permanent exhibition in 1986. The Witte Museum is known for its focus on natural history, science, and the history and culture of South Texas, and the scholarly and artistic pieces collected in the book are the result of years of research and dedication to the story of the ancient canyon dwellers along the Rio Grande. The remnants of prehistoric Lower Pecos people reveal lifeways unlike those anywhere else in the world. The people who inhabited the land in what is now Texas left a unique series of narratives in their shelters, including art on rock walls, pictographs, and organic residue and trash. These narratives are tantalizing in their novelty—they provide information about almost 12,000 years of existence, the last 7,000 of which are still astoundingly evident. This updated edition features significant research by new scholars who have deepened the understanding of rock art interpretation, scientific analysis of artifacts and coprolites, and the lifeways of prehistoric Lower Pecos people.